Thomas Edison has over one thousand patents to his name (individual or joint), 1,093 to be exact. Most notably for the light bulb, the phonograph, and an initial motion picture concept. He was also very famous in his early 30s and throughout his 84 years. He also had innovations in manufacturing and was a savvy businessman as well. I always wonder, however, what would he be working on if he was alive today? With so many advancements in technology and computers, it begs the question, what would he be working on? Would he finally have developed a flying car, teleportation, or something else we could not have imagined? I would figure that the patents would reach much higher numbers, as he could design and develop his ideas much quicker. He could also hire a staff of engineers and collaborate with these people on designs…in SOLIDWORKS, of course. We would like to believe he would be designing new electrical systems using SOLIDWORKS Electrical 3D, and collaborating with Alexander Graham Bell (see that blog here). Well, we put together this video to ask that very question: What If Thomas Edison had SOLIDWORKS? What are your thoughts on this? 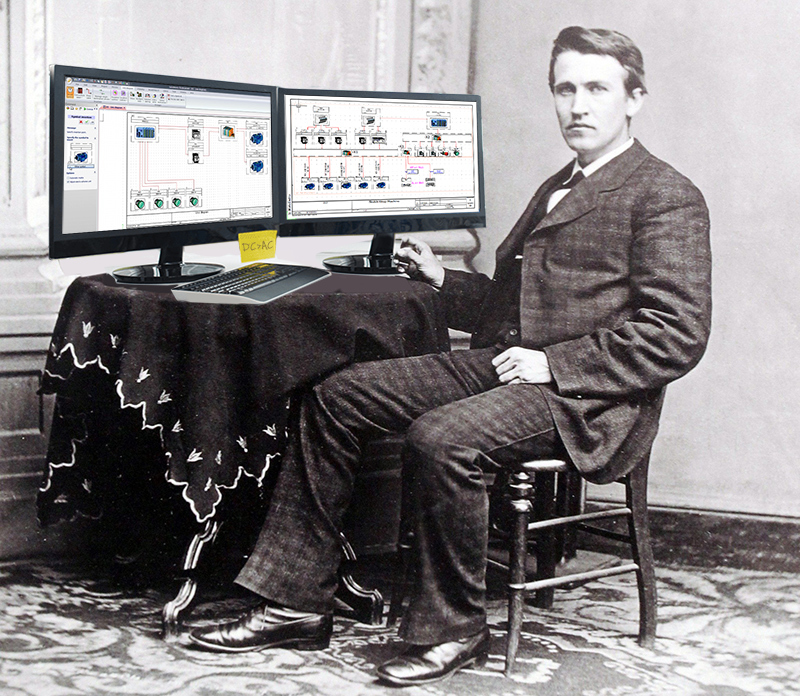 What do you believe Edison would have created with SOLIDWORKS?